ShockLog 298 Tilt & Roll combines advanced impact recorder, environmental indicator, and roll and tilt sensor technology to deliver the most complete record of events with the potential to damage assets, structures, and equipment. Like the base ShockLog 298 model, the Tilt-and-Roll capable condition-based monitoring device can be configured to record multiple critical parameters, including impact, vibration, and temperature – plus it provides optional accessories to extend the measurement of key parameters. 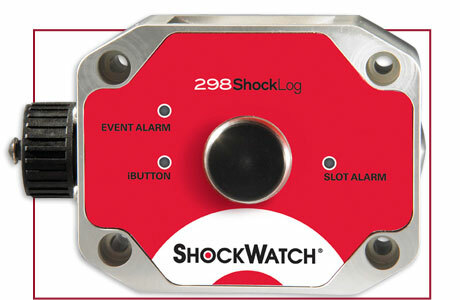 ShockLog 298TR records the time and severity of impacts, vibrations, internal temperature and tilt or roll events – then delivers an unmistakable visual notification of the breach.